The Dominion Rabbit and Cavy Breeders Association will recognize members as an all-breed judge when they meet the following requirements. All of the following rules, where they apply, will be under the jurisdiction of a qualified, licensed, Dominion Rabbit & Cavy Breeders Association judge and using the current D.R. & C.B.A. Standard of Perfection. 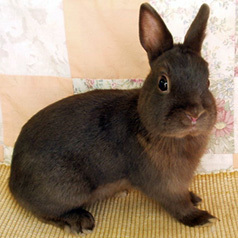 - A breeder and exhibitor of rabbits or cavies, depending on which license they wish to pursue, for a period of not less than three years. - A D.R.&C.B.A. member in good standing for a period of not less than three years. - Must have clerked for a judge at three D.R.&C.B.A Shows. - Be sixteen years of age or over at the time of making an application for permission to apprentice for a Rabbit or Cavy judge’s license. 2. Applicant must own a current copy of the D.R.&C.B.A. Standard of Perfection, be familiar with and agree to follow breed standards as they are outlined in said Standard at all D.R.&C.B.A. Shows and events. 3. Must make application, in writing or email, to the Executive of the D.R. & C.B.A. for permission to apprentice for a Rabbit or Cavy judge’s license. 4. Must successfully apprentice with three different judges at five different D.R. & C.B.A. shows for the entire show. If Apprentice does a partial show, (ie morning or afternoon), this will be counted as ½ a show. 5. Must request of the Show Committee, in writing or email, at least 10 days prior to a show, permission to apprentice with a currently recognized DR&CBA Judge. The Show secretary will then inquire of the Judge if he/she is willing to work with said apprentice on the specific Show Day and the applicant will be advised of the decision. NOTE: A judge must have worked a minimum of five (5) shows before guiding or directing any apprentice. At the completion of the apprenticing session, the judge will critique the applicant by completing an ‘Apprentice Evaluation Certificate’. Applicant will be marked on handling, breed knowledge, presentation, and people skills. To qualify, the applicant must attain a 70% average score or better from each Apprentice Certificate. When the applicant has completed his/her required number of apprenticeships, (see point 4) they will be notified by the Club Secretary as to the outcome. 6. After complying with the above rules, the applicant may apply to the Executive to arrange for a written examination. 7. To qualify, the applicant must write and attain a 70% minimum score on the written examination, under the supervision of two licensed DRCBA Judges. The results will be conveyed to the applicant within a reasonable time period. 8. 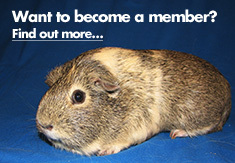 With the approval of the Board of Directors, some of the above requirements may be waived for persons holding a currently valid judge’s license from an accredited Rabbit or Cavy organization if they have at least 5 years judging experience with said organization. 9. Upon fulfilling all the above requirements, and upon payment of a $25.00 fee, the applicant will be recognized, by the D.R. 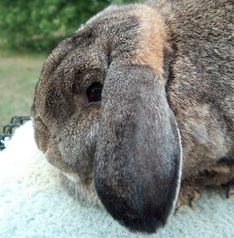 & C.B.A., as a qualified all-breed rabbit or cavy judge, and will be issued a judge’s card of such recognition. 10. Club membership and a judges fee ($10.00) must be paid in the first month of each year from then on to retain a valid judges license.